Dr. Narayan Baser & Dr. Akash Patel successfully completed the detailed District Human Development Report project that was awarded to SPM by the state government of Gujarat. Gujarat Electricity Board (GEB) reorganized in April 2005 into initially six Companies i.e. one Generation Company, one Transmission Company and four Distribution Companies. A new holding company named Gujarat Urja Vikas Nigam Ltd. (GUVNL) was then incorporated to carry out the residual functions of the erstwhile GEB. The power generation activities i.e. the power plants were transferred to GSECL (Gujarat State Electricity Corporation Limited). In order to meet the complexities in the power sector and meet customer expectations, there was a need for standardization of business processes across the 7 companies. GSECL has extensively used Information Technology to support its business processes amongst which “e-Urja” project, an end to end IT project (ERP- Enterprise Resource Planning) has been implemented across the company i.e. eight power stations & corporate office. The ERP covers Operations, Maintenance, Material management, Finance, Fuel, Purchase, Scrap, HR/Payroll, Safety and Projects across the company. The objective of the research study (July 2012 – August 2013) has been to identify and highlight the business impact of the e-Urja implementation at GSECL. Improvement (better integration and coordination) in business processes via e-Urja has been used as the parameter to signify the business impact. Data has been gathered from both the senior management who have been responsible for identifying the requirements for the e-Urja modules for their respective departments and also from the end users who have been using the e-Urja platform in the Corporate office in Vadodara and 3 plant locations. Results have indicated that there is a positive effect measured due to the implementation of the ERP platform. Dr. Pramod Paliwal was invited as an expert in the panel discussion on “Role of LNG in the New Wave of Economic Growth in India” in the 3rd Infraline Energy Annual Conference, LNG Fuelling the Future: Global Opportunities for India organized at Hotel Taj, New Delhi on 4th-5th September 2013. Dr. Paliwal shared the panel that had other distinguished speakers like Mr. G.C. Chaturvedi, former Secretary, MOPNG, Mr. R.K. Garg, Director Petronet LNG Limited, Mr. B.S. Negi, former Member- PNGRB and Mr. Rajeev Khanna, former Director-BG India & currently COO-Infraline Energy. Taking part in the deliberations, he spelled out the growing role of LNG as India’s Natural Gas sourcing in the light of overall increasing role of Natural Gas in India’s energy basket. He put forth the empirical evidences on the impact of USA’s Shale Gas revolution on world LNG market dynamics and how that could be favorable for India. Further, among others, he demonstrated as to how India is gearing up to consider LNG as a viable option so as to equal South Korea’s Natural Gas consumption levels by year 2016. 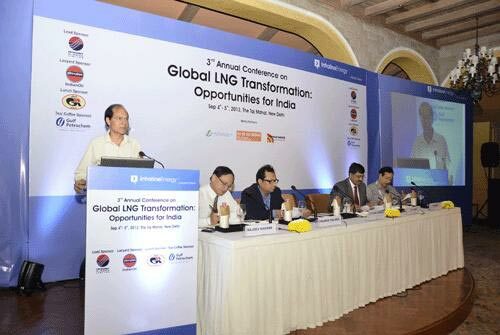 He also spoke at length on techno-managerial challenges and opportunities for LNG business in the coming times. The conference was addressed by other distinguished speakers like Dr. Saumitra Chaudhari, Member-Planning Commission, Dr. A.K. Balyan, M.D. & CEO, PLL among others. Indian Oil Corporation, Petronet LNG Ltd. and Gulf Petrochem were the principal sponsors of the conference that had a good attendance from the industry. 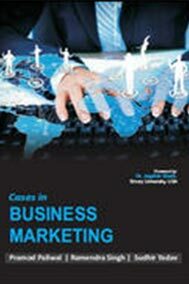 "Cases in Business Marketing aligns with the need of emerging business education. The focus of the cases is on contemporary management thinking and subject-areas that reflect the real business marketing issues. The cases vary in background (such as Natural Gas, Manufacturing, Print Media and ITES) and address a host of emerging issues such as value and its assessment, vendor management, strategic marketing, supplier-buyer relationship, offshoring and cross-functional coordination." 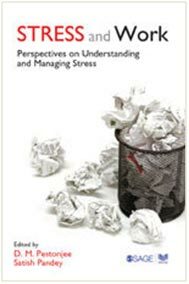 Stress and Work focuses on the problem of stress from various angles and perspectives and provides empirical findings relevant to different occupational settings. It provides comprehensive research literature, which has been divided along the following theoretical perspectives: Occupational Stress and Burnout; Work–Family Conflict and Stress; Positive Stress Management; and Stress and Spirituality. This volume will be a resource-book for researchers and practitioners of management, psychology, sociology, and behavioral sciences. The prospective reader of human society and human nature will find this volume to be of immense utility. Dr. Kaushal Kishore, Faculty-SPM attended ‘International Visitors Leadership Programme on U.S.A Foreign Policy and Energy Security’ sponsored by the Department of State, U.S.A which was scheduled from August 31, 2015 to September 19, 2015 in the four cities of U.S.A. The programme offered opportunities to participate in both formal and informal interactions with top scientists, policy makers, journalists and research scholars from around 25 countries during the three weeks period.